Two mothers and their teenage daughters, whose lives collide in a fatal car crash, take turns narrating Ellen Urbani's breathtaking novel, Landfall, set in the wake of Hurricane Katrina. Eighteen-year-olds Rose and Rosebud have never met but they share a birth year, a name, and a bloody pair of sneakers. 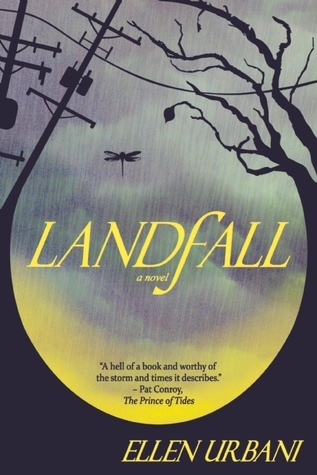 Rose’s quest to atone for the accident that kills Rosebud, a young wo Two mothers and their teenage daughters, whose lives collide in a fatal car crash, take turns narrating Ellen Urbani's breathtaking novel, Landfall, set in the wake of Hurricane Katrina. Eighteen-year-olds Rose and Rosebud have never met but they share a birth year, a name, and a bloody pair of sneakers. Rose’s quest to atone for the accident that kills Rosebud, a young woman so much like herself but for the color of her skin, unfolds alongside Rosebud’s battle to survive the devastating flooding in the Lower Ninth Ward and to find help for her unstable mother. These unforgettable characters give voice to the dead of the storm and, in a stunning twist, demonstrate how what we think we know can make us blind to what matters most. To ask other readers questions about Landfall, please sign up. Two mothers have two daughters , Rose and Rosy , fatherless children , living a state away , yet in the same confinement of loneliness and isolation, families of two. I was overwhelmed by the sadness . I was deeply moved by the intensity of the mother - daughter bonds. These characters are brought together by a gruesome accident in the aftermath of Hurricane Katrina . 10 year anniversary of Katrina and the story here certainly depicts the horrors and the devastation, the suffering . There is a retelling of events here that we saw on TV and read about in the newspapers and online but it is no less heart breaking or gut wrenching . The filth of the conditions at the Superdome, no food or water , walking and walking towards buses to save them , buses that weren't there . Urbani's meticulous research is evident . The story unfolds and the characters develop through alternating chapters telling Rose's and Rosy's story and their mother's stories as well. It isn't long before we discover Rosy's amazing courage and strength as she cares for her mother Cilla and tries to cope with Cilla's manic depressive illness and everything that came with it. She then tries desperately to save them during and after Katrina . What happens to Rosy on her way to get help, to look for her father's family will give you one of those gut punches that make an indelible mark that some books bring with them . Rose also has strength and determination and possess the heart to find Rosy's family . There is a pervading thought about everybody having somebody. And it wasn't any more evident in Rose trying to find Rosy's somebody. Cliche , I know to say heartbreaking and gut wrenching and then to repeat it again here but I don't know other words to describe it . A twist near the end, although one I surmised earlier, linked these characters together in a way that makes us believe that everybody has a connection to somebody. Highly recommended. Two young woman, one white one black find their fates entwined during the aftermath of Hurricane Katrina. Dual storylines that come together because of a tragic event. We learn the girl's back stories and I have to admit to liking Rosebud's story more especially in the beginning. Rose's took a little longer to grow on me, found the original telling of her search to be a little awkward. This is a book where the writing gets stronger as the story progresses. Hurricane Katrina and the descriptions o Two young woman, one white one black find their fates entwined during the aftermath of Hurricane Katrina. Hurricane Katrina and the descriptions of the aftermath were just horrible but definitely the writers strength. Still have trouble believing that this happened here in the states, that we responded so poorly to these desperate people. Found out things here in this book that I never knew and was even more appalled. At first these girls seem to have little on common, but that soon changes. Both raised by single moms who loved them but showed it in markedly different ways. Heartbreaking both. Mental illness and the toll on the sufferer and her family and friends. There is one episode of graphic violence but also many good caring people, people I loved getting to know. In the end the story comes together in a surprising way, one which I did not guess. Did feel that the ending was too abrupt but I did end up quite liking this story. Ellen Urbani’s debut novel is an intriguing tale that takes place in the chaotic aftermath of Hurricane Katrina. Eighteen year-old Rose Aiken survives an automobile accident that claims the life of her mother and a pedestrian, a young black woman with no identification. At a loss for what to do after the death of her mother, Rose takes it upon herself to track down the family of the dead girl, whose name turns out to be Rosy, and tell them what happened to her. Thus begins a story that alternate Ellen Urbani’s debut novel is an intriguing tale that takes place in the chaotic aftermath of Hurricane Katrina. Eighteen year-old Rose Aiken survives an automobile accident that claims the life of her mother and a pedestrian, a young black woman with no identification. At a loss for what to do after the death of her mother, Rose takes it upon herself to track down the family of the dead girl, whose name turns out to be Rosy, and tell them what happened to her. Thus begins a story that alternates between Rose’s search for the Rosy’s family and Rosy’s own story, following her footsteps from when the Hurricane came ashore to her death beside a road in Alabama. A key part of the story is the inescapable comparisons between the two off-kilter mother/daughter families in the story. Each family has struggled with a variety of issues from mental illness to social ostracism and to financial hardship yet each mother and daughter shared a bond that insulated them against all that life threw at them. Rosy’s tragic tale is made all the more compelling by the author’s painstakingly researched description of the events surrounding Katrina. From the initial levee breach to the Superdome fiasco and the blockade of the Crescent City Connection Bridge, Urbani brings the terrifying days of Katrina to life. On the downside, I did find the plot a bit choppy in places, specifically where Rose’s motivation for doing the things she did was involved. I also found that I often failed to get totally engaged in the story. This could be because we have a new puppy in the house that requires constant supervision or it could be that the entire story is told from the point of view of female characters and largely dealt with the subject of motherhood. Never having been either of those, it made it a bit difficult for me to relate. Fortunately, the ending made up for much of this. I don’t want to give anything away so all I will say is I never saw that one coming. Full review to follow. This novel is a group read for members of On The Southern Literary Trail, December, 2015. Author Ellen Urbani will be joining us to discuss her novel. Un magnifique roman qui revient sur la catastrophe engendrée par le passage de l'ouragan Katrina sur La Nouvelle-Orléans en 2005. Il dépeint avec justesse la panique et la détresse de ses habitants, les ratés des dirigeants et des services publics, mais aussi le racisme, encore et toujours. Ce roman est aussi le récit des destins croisés de deux jeunes filles qui n'ont en apparence rien à voir l'une avec l'autre, mais que la vie va faire se percuter... et qui pourraient avoir bien plus en commun Un magnifique roman qui revient sur la catastrophe engendrée par le passage de l'ouragan Katrina sur La Nouvelle-Orléans en 2005. Il dépeint avec justesse la panique et la détresse de ses habitants, les ratés des dirigeants et des services publics, mais aussi le racisme, encore et toujours. Ce roman est aussi le récit des destins croisés de deux jeunes filles qui n'ont en apparence rien à voir l'une avec l'autre, mais que la vie va faire se percuter... et qui pourraient avoir bien plus en commun que l'on ne pourrait le penser. Landfall est un roman qui m'a fait passer par toute une palette d'émotions, et dont on ne ressort pas tout à fait le même. Que dire également de la plume d'Ellen Urbani, d'une incroyable justesse et qui trouve toujours les mots pour aborder les sujets les plus délicats. Un véritable coup de coeur que je recommande chaudement. Four stars: An emotional, heartbreaking and hopeful book about loss and survival set during the landfall of Hurricane Katrina. It has been a week since Hurricane Katrina roared ashore, devastating New Orleans. Gertrude and her daughter Rose in Alabama, like many Americans, have watched the disaster unfold live on their television. They feel compelled to help. Gertrude and Rose pack up clothes and supplies in their car and head to donate them. Before they get there, a brief moment of distraction, Four stars: An emotional, heartbreaking and hopeful book about loss and survival set during the landfall of Hurricane Katrina. It has been a week since Hurricane Katrina roared ashore, devastating New Orleans. Gertrude and her daughter Rose in Alabama, like many Americans, have watched the disaster unfold live on their television. They feel compelled to help. Gertrude and Rose pack up clothes and supplies in their car and head to donate them. Before they get there, a brief moment of distraction, when Rose puts her feet on the dashboard of the car, causing Gertrude to swerve off a bridge, inadvertently hitting a young woman on foot. Days later, Rose feels compelled to find out the identity of the girl they hit and killed. Little does she know her search will take her across state lines, straight into decimated New Orleans. What will Rose find? *Here we are ten years past the Hurricane Katrina disaster. I, like millions of other Americans, recall watching the horror as the disaster unfolded on live tv right in my living room. In Ms. Urbani's carefully researched book, she takes the reader into the heart of the storm, and through the gruesome aftermath. It was a stunning and sobering read as I was forced to recall the terrible events of that week. For anyone who has any interest in Hurricane Katrina, this is a book you need to read. I highly recommend this debut tale by Ms. Urbani. *The book opens up with with two deaths, leaving young Rose reeling. Once she gets her feet on the ground, Rose is determined to track down the family of the girl she and her mother accidentally killed. Rose must show incredible courage as she traces Rosebud's journey from New Orleans to Alabama. Time and time again, Rose meets kind and generous people, who stopped and helped a stranger in a time of great need. Yes, this is a heartbreaking story, and it is a story that shows both the ugliness and the beauty of humanity, but in the end, it leaves the reader with hope. *This book moves back and forth in time as it follows both Rose, an eighteen year old white girl, in Alabama on a mission to find a dead girl's relatives, and Rosebud an eighteen year old African American in New Orleans as Hurricane Katrina comes ashore. Both girls live in single parent homes, and neither knows their father. Rose's timeline unfolds a few days after Katrina, while Rosebud's timeline takes the reader through the storm and the terrifying aftermath. I enjoyed both view points, but in all honesty, I was riveted by Rosebud's narrative. *Through Rosebud's eye, the reader rides out the hurricane, and just when the residents of New Orleans are breathing a sigh of relief, the levees break without warning, completely flooding the Lower Ninth Ward where young Rosebud lives. Rosebud and her mother run for their lives and seek shelter, only to spend three days watching the water rise higher and higher into the attic. Rosebud soon finds herself in the Superdome, a hell on earth. With each and every step of her journey, Rosebud encounters the terror and struggles that the people endured in New Orleans. I was completely fascinated and riveted by Rosebud's account of Hurricane Katrina and the appalling circumstances that followed. *Again,this is a must read for anyone who wants to know more about America's most costly and devastating natural disaster to date. *This story isn't easy to read at times, and it is incredibly sad since the reader knows from the first pages that two people from the two different mother daughter pairs don't survive. Then the reader experiences the anguish and terror inflicted upon the survivors, especially when a few bad apples caused Americans to turn against the weary, who so desperately needed help. Yet, amidst all the destruction and death, hope blooms with a few kindnesses shown by complete strangers, who help both girls on their journeys. *One of the main focuses of the story is on the mother daughter relationships. Each girl comes from a single parent home, and both must overcome adversity. I found it interesting to see how each girl viewed her mother, and how their relationships fared. *Even though the book ended abruptly, it ended in a good place, leaving the reader with hope. *I appreciated that in the author's note, Ms. Urbani discusses her research and some of the events that occurred after the storm. Definitely take time to read the author's note. *After all the struggles and sadness, I liked that the book ended on a high note, but I was left wanting to know more, and I still had some unanswered questions. I wish that there was an Epilogue or another chapter a year or so down the road, I would have loved to see how the women left behind put the pieces back together. I also wished that the author had touched upon the recovery of New Orleans. *There is a bit of a twist at the end, but for me, it wasn't a surprise at all, I could see it coming early on. I liked the surprise, but it also ended up being a little bit of a stretch. *There were several unanswered questions at the end, such as why did Roger commit suicide? What happened to Rosebud after she left the hospital on that final stretch of her journey? Why did Rose never have any contact with her father's family? Finally, what happened to the two survivors down the road? I would also love to know more about Jennifer, the florist. *Two of the four women die right away in the first chapters. I hated knowing as I followed one person's journey, that she would ultimately meet her death. I don't know if it would be worse to have it hit you unexpectedly or knowing all along that no matter how hard she fights, she will still not make it. A conundrum indeed. Landfall was a riveting read. This is a book that takes you through the deadly winds of Hurricane Katrina, the subsequent flood to the squalid conditions of the Superdome. This is a fascinating, emotional and heartbreaking story about two young woman in two different states whose lives finally intersect. I highly enjoyed this read, and I recommend it to anyone who has an interest in learning more about Hurricane Katrina. Un superbe roman qui nous raconte l’histoire de Rose et de Rosy dont la route va se croiser tragiquement. Leurs vies se dévoilent, liées par de nombreux aspects mais en particuliers par les rapports mère-fille très semblables qui ont marqués leurs vies. En plein sud des Etats-Unis et au coeur de l’Ouragan Katrina, Landfall est un roman passionnant et marquant. Landfall is about four people, two mothers and their daughters, Gertrude and Rose in Tuscaloosa AL, and Cilla and Rosy in New Orleans, LA. The backdrop of the story is Hurricane Katrina. Cilla and Rosy endure the catastrophe of Hurricane Katrina and at one point Rosy travels to Tuscaloosa AL to try and get help for herself and her mother Cilla who is bi-polar, and because of the hurricane she does not have the medicine she requires. At the same time or shortly thereafter Gertrude and Rose gather Landfall is about four people, two mothers and their daughters, Gertrude and Rose in Tuscaloosa AL, and Cilla and Rosy in New Orleans, LA. The backdrop of the story is Hurricane Katrina. Cilla and Rosy endure the catastrophe of Hurricane Katrina and at one point Rosy travels to Tuscaloosa AL to try and get help for herself and her mother Cilla who is bi-polar, and because of the hurricane she does not have the medicine she requires. At the same time or shortly thereafter Gertrude and Rose gather clothing to take to donate to the Katrina victims, and while going there they have a car accident and the story goes on from there. It is an emotional read about what human beings endure, the incredible and helpful people who band together in hard times and the people who take advantage and harm others. It is about families and extended families and how somehow we are all interconnected. It is evident that much research was done in the writing of this historical novel. At first I thought I liked the intertwining of the Katrina catastrophe in the story and at other times I felt like I was getting a history lesson inside of a novel, it didn't completely work for me. I found the history of Katrina at times to be distracting from the story itself. Also there was repetition in the telling of the events. Did this take away from the story - for me it did, but not so much that I would hesitate to recommend reading this book. On a deeper level the compassion and the connection of humans to each other was extraordinary and most beautiful. There are angels among us. Landfall is a truly remarkable book. At first blush, I expected yet another heart wrenching story about Katrina, the hurricane that outdid all hurricanes, but this story is much, much more. Cilla, her daughter Rosebud (Rosy), Gertrude and her daughter Rose narrate the story from worlds apart, though living in relatively close proximity. Gertrude and Rose live in Tuscaloosa, AL, where Bama football is king. For reasons not understood by Rose, Gertrude constantly moves them from one a Extraordinary! Gertrude and Rose live in Tuscaloosa, AL, where Bama football is king. For reasons not understood by Rose, Gertrude constantly moves them from one apartment to another, leaving Rose untethered. All she knows is that her father is dead. The only friend she has is her mother. Cilla and Rosy are poor African Americans who live in the now infamous Ninth Ward in New Orleans. Ignoring the dire hurricane warnings, Cilla and her friend Maya insist on riding out the storm with Rosy. Despite having watched day after day of storm coverage on television, I lived through Katrina in the pages of this book. Watching the storm surge destroying the levees was almost surreal, much like watching the Twin Towers fall on September 11th, but putting names and faces to the horrific events made them real. The sheer terror as the rising water forced Cilla, Maya and Rosy to the attic, the dire necessity of having to get outside to the roof, the view of floating debris and bodies is so vividly described that I found myself shaking. Would I have the wherewithal and will to survive against all odds, I wondered. Landfall is a stinging indictment against the incompetence of government agencies on all levels. How could so many people gotten everything so wrong? Ray Nagin, the mayor from hell, is now where he belongs, living as a federal inmate, and others have been prosecuted. The most heartbreaking incident I read was the police blockade on the bridge out of New Orleans. Katrina is a powerful backdrop to the story of Rose and Rosy. They become inexorably joined after Gertrude has an automobile accident, killing herself and Rosy, a pedestrian in the wrong place at the wrong time. Rose becomes obsessed with notifying Rosy's relatives of her death. Rosy carried very little with her, but Rose refuses to give up. In her search for Rosy's kin, she finds herself. In the midst of unspeakable tragedy, I found the story of Rose and Rosy to be beautiful. I loved the characters in the book. Bits of humor (Connie [sic] West) had me laughing, and the commonly heard Southern phrase, "Bless Her Heart", always makes me smile. The dialogue is impeccable, without being demeaning. Ellen Urbani perfectly captures the patois of the Deep South. The obsession with the Crimson Tide is also spot on. Hell would freeze over before my relatives in Tuscaloosa would miss a game. In an article for The Atlantic, Julie Beck says, “Storytelling…fictional or nonfictional…is a way of making sense of the world around us,” and Margaret Atwood in Negotiating with the Dead says she writes “to bear witness.” We all have different reasons for putting pen to paper, but Ellen Urbani satisfies both of these ideas in her novel, Landfall: she writes on a real-world tragedy and paves the way to understanding such an experience through fictional characters. In Landfall, Rose Aikens and Rosebud Howard live states and worlds apart. Yet in the days following Hurricane Katrina, they are thrown together in a car accident that kills one and leaves the other searching for answers and atonement. I remember when Hurricane Katrina hit. Buffered by miles and privilege, I had no real sense of what it was like to be tossed into the fury of Mother Nature, politics, and racism. Landfall narrows in on the impact of such a storm--physically and politically--and sheds light on the role tragedy plays in pulling us apart and bringing us together. Gertrude and Rose. Rosy and Cilla. Two tiny families whose lives come crashing together, in more ways than one, in the aftermath of tragedy. As everyone already knows, Hurricane Katrina destroyed more than just buildings and roads. It ripped apart families, devastated lives, and continues to taint the memories of those left after the waters receded. Also, the attack on the World Trade Center shook the entire nation to its core. Watching those towers fall on the television screen, even from hundreds of miles away, the rumbling was felt in every bone. The true horrors of these events, however, can never truly be understood by anyone other than those who experienced it firsthand. I feel as though in every life there are a few things that could be classified as game changers. For me, reading this book was one of them. Though I will never come close to understanding the height and depths of suffering the victims of 9/11 and Hurricane Katrina went through, are still going through, Landfall has given me a fresh dose of respect for those events, the ones who lost their lives, and the ones that have to continue their lives without their loved ones. There were several times, while reading this book, in which I had to stop a moment and remind myself that this is technically fiction, not a biography. Reading this book was a humbling experience for me. I am now keenly aware of all the last words I have said to friends and family. I’m also trying to take a step back, picture other people’s points of views on different subjects, and sifting through memories that I have not forgiven. Like I said, this book is a game changer. A brilliant reminder to never take friends, family, health, and all the little things for granted. Cherish every moment. Live your life so you will never regret your lasts. I recommend this book to everyone. Period. It doesn’t matter what kind of books you’re into, everyone should read this book. Did I enjoy it because it gave me that warm fuzzy feeling that usually comes with loving a book? No. Was it a book that I’m sure everyone can connect with in some kind of way, and a book that will make each reader want to be a better person? Absolutely. This book is bound for the Classics section. Ellen Urbani's second novel Landfall is a beautifully written tale of two girls, their mothers, and the aftermath of hurricane Katrina. The book is written from the alternating perspective of these two teenagers, Rose and Rosebud (Rosy), who share the same name and birth year. The book describes how their destinies merge, and develops into a surprising twist and unexpected ending. 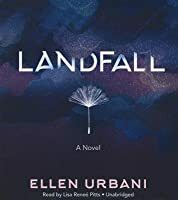 At first I wasn't sure I was going to like this book, but Urbani's writing is gorgeous, her voice is convincing, and Ellen Urbani's second novel Landfall is a beautifully written tale of two girls, their mothers, and the aftermath of hurricane Katrina. The book is written from the alternating perspective of these two teenagers, Rose and Rosebud (Rosy), who share the same name and birth year. The book describes how their destinies merge, and develops into a surprising twist and unexpected ending. At first I wasn't sure I was going to like this book, but Urbani's writing is gorgeous, her voice is convincing, and the characters are well developed. I really liked the way the author researched the events that took place after hurricane Katrina, and how she was able to weave those details in the story. After finding out the author came from a healthcare background, I understood why she took her time describing with great details the passages at the Superdome and the events at the Crescent City Connection Bridge. The story is not necessarily a happy one, but I definitely recommend this book for its fascinating historical accuracy, beautiful vernacular, and rich and well-developed characters. Ellen is a master of description and it behooves one to have a thesaurus handy as she wields her extensive vocabulary easily and often. Her rendition of the storm itself and of the Superdome were superb. One of my favorite lines describes the latter, which heretofore unbeknownst to me was built on the former site of the Girod Street Cemetery, "Thirteen acres of structural steel framing stretch up 273 feet from the unholy ground, a towering testament to the American propensity to cheer black men Ellen is a master of description and it behooves one to have a thesaurus handy as she wields her extensive vocabulary easily and often. Her rendition of the storm itself and of the Superdome were superb. One of my favorite lines describes the latter, which heretofore unbeknownst to me was built on the former site of the Girod Street Cemetery, "Thirteen acres of structural steel framing stretch up 273 feet from the unholy ground, a towering testament to the American propensity to cheer black men into end zones and desert them entirely six points later." Brilliant. See? The oldest email on my computer is from 11/21/09 with a word document attached called, "A Rose By Another Name." Ellen and I traded our manuscripts all those years ago with the intent of reading and editing them. That never happened. Mine was finally published in May 2014 and I've been waiting to read this book in print ever since. Ultimately titled Landfall and published for the tenth anniversary of Hurricane Katrina, the timing couldn't have been better. But I hope I don't have to wait another 7 years for Ellen's next book. Rose and Rosy have never met, but they have a few important things in common. They are the same age; each of them has a close, but strained relationship with her troubled single mother; and both of their lives are forever altered and their histories entwined by tragic events in the aftermath of Hurricane Katrina. There is much to like about this novel. The story is engaging and the characters are well-developed and authentic. I appreciate Urbani's unflinching approach to issues of poverty, race relations, and mental illness. She does a masterful job with emotional scenes. I felt Cilla's and Rosy's pain with each mental breakdown, and I shared the desperation of the people in the Superdome. The twist near the end is surprising, but it ties up the novel neatly, and the groundwork has been laid so that it is believable. Landfall by Author Ellen Urbani is an emotionally powerful novel that will steal your breath just like Katrina’s gale force winds. Urbani doesn’t sugar coat the issues of poverty, race relations, and mental illness that affect her characters. You will wince and cringe at some of the mother-daughter scenes in this novel yet other scenes are so poignant they’ll leave you with tears in your eyes. 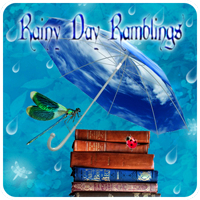 Rosebud was a compelling character and the young woman will stay with you days after you’ve read the fi Landfall by Author Ellen Urbani is an emotionally powerful novel that will steal your breath just like Katrina’s gale force winds. Urbani doesn’t sugar coat the issues of poverty, race relations, and mental illness that affect her characters. You will wince and cringe at some of the mother-daughter scenes in this novel yet other scenes are so poignant they’ll leave you with tears in your eyes. Rosebud was a compelling character and the young woman will stay with you days after you’ve read the final page. This story is definitely an emotional read, but Urbani leaves you with a sense of hope for humanity. Highly recommend! Interesting story but I found it a bit hard to follow the storyline shifts. The story shifts between characters, place, and time. I would suggest reading it in long stretches. A good deal of creativity regarding the main characters. Katrina the hurricane is sort of another character but not the main character. I heard the author speak st a book signing and she was an engaging person. She seemed very committed to presenting Katrina accurately. Landfall is a story of two women, Rose and Rosy, who share a name and a birth year and whose lives intersect due to hurricane Katrina. The story is as intense as the storm itself as Rose attempts to track down Rosy's family after being in a car wreck that claimed both Rosy's life and that of Rose's mother, Gertrude. We learn about the lives of both girls along with a view of the hurricane and it's tragic aftermath. The story is heartbreaking, sad, and intense. I enjoyed this book. Most of the characters were likeable and the story moved very fast. There was an underlying sadness to the story because of the car accident and the backdrop of Hurricane Katrina. It wasn't too much though and there was also a sense of hope. I really enjoyed the ending as well. There was a twist that I didn't see coming. Overall, a great story. Overall a very good novel. Great twist at the end. Very interesting characters; just a little too much unnecessary background information which made me skip bits here and there. I read the advance reader's copy, so maybe the editing will repair the loose parts. The author's writing and her characters' language are colorful and vibrant, makes the story come alive. Two teenage fatherless girls named Rose/Rosy find each other in a tragic outcome during Hurricane Katrina. That is the story line - but it is really layers of an onion of each character being peeled back, further and examined layer by layer in a complex story telling method that read deep, slow, but yet very satisfying. This book transported me back to two cities I love. It let me see what they became after Katrina, all through the eyes of two young women whose bravery, courage and grit made me cheer for them both. Great books like this stay with you and change your heart. Two stories, separate lives that intertwine and an unexpected ending! Great read set during and post Katrina in Louisiana and Alabama. Emotional ups and downs as the stories of 2 girls unfolds. Definitely with reading. Interesting characters and exploration of love and loss in many forms. I'm very interested in post Katrina experiences and this novel provides some powerful writing about that. Drags a bit mid-novel but does pick up towards end with interesting plot twist. Great book! The characters are unusual and charming. The story is vividly told, with a surprise ending. It grabs you and doesn't let go.